It looks like we might have a bit of brother-versus-brother fighting going on in Fantastic Beasts: The Crimes of Grindelwald. 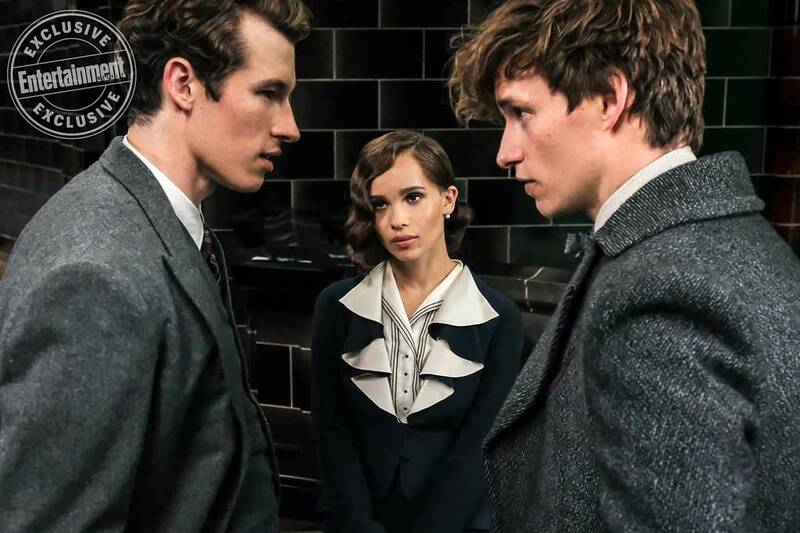 We’ve known that Newt Scamander’s (Eddie Redmayne) brother, Theseus Scamander (Callum Turner), was going to play a role, but this new image featuring the brother and Leta Lestrange ( Zoë Kravitz) in Entertainment Weekly shows that there might not be much brotherly love there. We’re still learning about what this next entry in this franchise is going to be. Warner Bros. has announced that they plan to do five movies in this series, and they’re going to have to inject some variety to keep things from getting repetitive. It does look very different from the first movie, and it’s going to be really interesting where this series decides to go in the future.